ATD Memphis invites you to an interactive, instructor-led virtual learning event. The preeminent learning organization FranklinCovey is providing the exclusive event to ATD Memphis members and their guests. 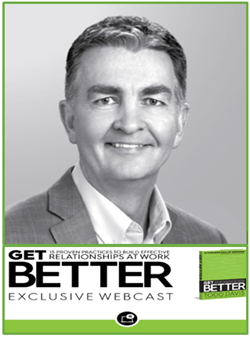 Todd Davis is the author of the upcoming book Get Better: 15 Proven Practices to Build Effective Relationships at Work. Join Todd and Scott Miller (Moderator) on Tuesday, September 12, 2017 at Bethel University. Lunch will be served at 11:30 AM, presentation from 12 noon to 12:45 PM, and 12:45 PM to 1:00 PM a brief post discussion of the material covered by the presenters. Todd will describe how an organization’s greatest asset isn’t only its people; rather, it’s the relationships between its people and, that is the greatest predictor of personal effectiveness. In the end, the ability of every employee to build and sustain great relationships is an organization’s ultimate competitive advantage. This exclusive 45-minute webcast will address key concepts and methods to help you and your team improve the quality of interactions with others and truly master the skills of effective relationships at work. Receive an overview of the "15 Get Better Practices" and go in-depth on a select few. Learn specific actions that leaders and individual contributors can implement immediately to improve workplace relationships. Discover how to assess challenging relationships and transition them to rewarding relationships. Todd Davis has over 30 years of experience in human resources, talent development, executive recruiting, sales, and marketing. He has been with FranklinCovey for over 20 years, and currently serves as Chief People Officer and Executive Vice President. Please join us for this exclusive virtual event at Bethel University on September 12, 2017.